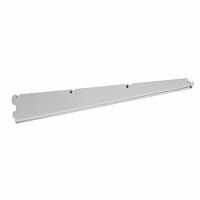 Available in either 30cm or 40cm depths our elfa brackets easily clip onto elfa wall bars and shelves without additional drilling. 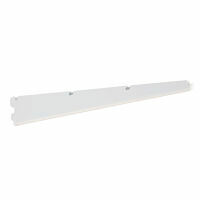 New larger size bracket to clip onto elfa wall bars and shelves without the need for additional drilling. 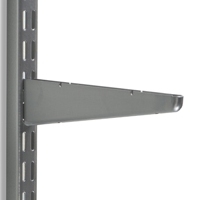 New 50cm sized elfa bracket Clip onto elfa wall bars and add shelves without the need for any additional drilling. 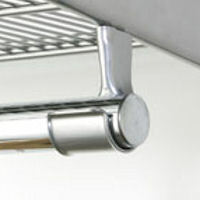 Clip into a bracket at either end of any elfa shelf, hang a length of rod across and you've finished! 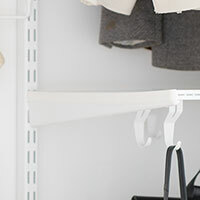 Hang one shelf above another to maximise vertical space and enjoy the benefit half height above half height clothes hanging. 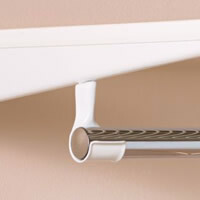 White elfa clothes rail holder to clip into a bracket at either end of any elfa shelf, hang a length of rod across and you've finished! 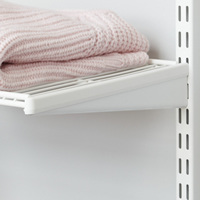 Available in lengths of 90cm, 120cm or 180cm our elfa clothes rail easily clips below a shelf without the need for drilling. 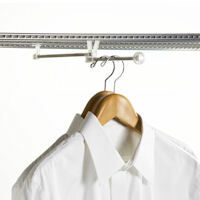 Our new shorter 60cm elfa clothes rail easily clips below a standard 60cm shelf without the need for drilling. 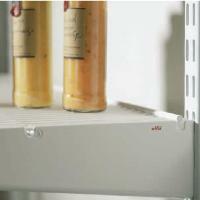 Our new shorter 45cm elfa clothes rail easily clips below a 45cm shelf without the need for drilling. 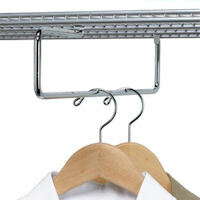 Available in lengths of 90cm, 120cm or 180cm our clothes rail easily clips below a shelf without the need for drilling. 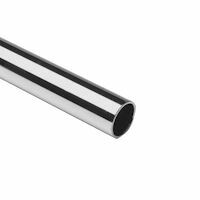 Push into the end of our elfa clothes rods for a neat look whether you've used a standard length of rod or cut down to fit your space exactly. 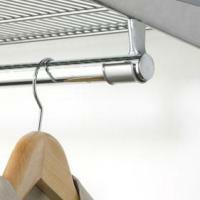 Clip below an elfa shelf and it'll allow you to hang coat hangers 'front to back'. Great where space is at a premium. 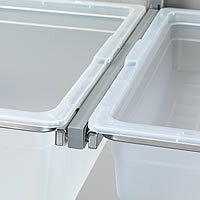 Clip below a 40cm elfa ventilated shelf to provide extendable 'front to back' storage for coat hangers. 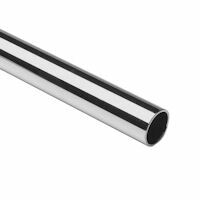 Finish your elfa solution with our bracket covers to hide the exposed sides of your shelf brackets. 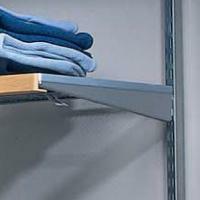 Gives your shelving solution a clean tailored look. Centre bracket cover to hide the exposed bracket area between two gliding components.